Check out my book Jesus Goes to the Movies: The Youth Ministry Film Guide for 50 film discussion guides! Buy it directly from the publisher. Go to Cinemayward.com for my film reviews, essays, and film-related resources. This post from three years ago generates the most amount of search engine traffic for my blog. Yet most people seem to be searching for safe movies they can show to their youth, which isn't the point of the post at all. But watching movies with teenagers as an exercise in practicing discernment can be a great way to learn how to navigate media messages in healthy ways. There are plenty of movies that are overdone in youth groups (i.e. The Princess Bride, Napoleon Dynamite, The Chronicles of Narnia or Lord of the Rings films.). It's not that these aren't good, but there are some great films that often get overlooked. Thus, here is a list of films you can show to your youth group in order to generate great spiritual conversations and foster the discernment of truth in media. This is not an exhaustive list, and I'll periodically add films as I see them. I've grouped these chronologically by rating, including a brief synopsis and a few spiritual themes one could draw from the film. I've also highlighted the films in italics that will require some discerning and serious film-watchers (i.e. these aren't for throwing in the DVD player of the tour bus on that 10-hour road trip or for 90 minutes of mindless entertainment. They will require a discussion afterwards to be truly effective). Please use caution and wisdom when deciding to show a film to a group of students. Watch the film first, think about your context, invite parents to join your group, and come up with good discussion questions for afterwards. I'd also highly recommend Jeffrey Overstreet's excellent book, Through a Screen Darkly , to help you grow in making connections between film and spirituality. Toy Story (1995), Toy Story 2 (1999), Toy Story 3 (2010): A group of toys from a boy's toybox have a variety of adventures. (Community, love, sacrifice, friendship). Wreck-It Ralph (2012): A video game villain wants to be a hero, but his quest for a heroic medal puts the entire arcade in jeopardy (true identity, friendship). Do you have any movies you would add? Suggest them in the comments! Please email me here with any questions you might have about a particular film and how you might use it in your youth ministry context! Also consider, 'Slum Dog Millionaire', 'To Save A Life', 'Fireproof', and 'Facing The Giants'. Joel... great post. I'm glad to see some of these films on your list. I think Signs is one of the best 'scary' films to show around this time of year- with amazing discussion opportunities. Actually, I am 17 and I absolutely love Chariots of fire. Also, my younger brother who is 13 loves it too. It is such a great movie about following your dreams and super inspiring. Added "To Save A Life." @Jonathan, the films in italics (Chariots of Fire, Exorcism of Emily Rose, etc.) are definitely for more serious film viewers, and probably only for high school students. I'd recommend watching many of those during or after a teaching series on media discernment. For a film like "Exorcism of Emily Rose" or any of the R-rated films, I'd recommend inviting parents to join the students in watching the film. Your list is great, btw! A lot of films I hadn't considered! Wow...thanks for the great list. Definitely updating the queue tonight! Great list! Thanks for the suggestions. Total favorite in our house! @Anon, I haven't seen "Enemy Mine," and I'm careful to only add films I've seen. I'll now check it out and consider adding it to the list! Hey Joel, Ever seen "John Q"? good movie. i think it's a great demonstration of a father's love. great for discussion. Update: Added "Despicable Me" and "Tangled" to the PG movies section. Added "The King's Speech" to the R-rated section. Added "Soul Surfer" (2011) to the PG section. I'd definitely recommend adding "The Book of Eli," it's a GREAT movie! A little violent, but nothing a High School/University group couldn't handle. Added "The Book of Eli" to the R section. I'm a youth worker in the UK and our kids ALWAYS love Cool Runnings- I think the same group has voted to see it at least once a year like five years in a row. The Ringer is also highly recommended - it's got a lovely message. Recommend watching the commentary on it too. This is at the top of my list. Our Monsignor had the 8th graders watch it and he came home and asked to rent it and watch it with me. Then I purchased it and am having the youth group watch it. Don't forget about Seven days in Utopia ( recommended by my priest for our youth) and RUDY. Love that one too. Thank you for your insight. Added "Blue Like Jazz," "We Bought A Zoo," and "Chronicle." Added "The Help," "The Avengers," and "The Hunger Games." I would add "Easy A." While not necessarily a 'safe' movie, it generates good discussion about rumors, sexuality, and the struggles of being in high school! And, I love "Invictus" to talk about injustice and leadership. Those are two great films! I'm adding both of them to the list. The Stoning of Soraya M. It's rated R, but it's such a strong statement against violence. Very powerful message. Thanks for this list. I passed it along to others. In particular, I appreciate the time you took to point out the spiritual topics that can/should be discussed in connection with viewing each film. All too often we plunk ourselves down (and our kids as well) in front of a flick, munch on snacks and what's before our eyes, credits roll, and we get up and follow with, 'that was good, 'nuff said.' The follow-up conversations are crucial to teaching our kids discernment. Media is such a forceful element in their lives, we are grievously remiss to neglect it. I'll be sure to check out "Wasteland," it's sitting in my Netflix queue. Thanks for the suggestion! How do you respond to an angry parent who insists that youth groups should never show a movie with "foul language" (even if the movie has a great message and many redeeming qualities) and should only show (and I quote), "promise-keeper type movies?" Great question! First, I'd ask a few questions about the movie first: is showing this movie worth spending an hour in conversations/conflicts about its content? If you cannot confidently answer "yes," then I'd seek some advice from trusted leadership about showing the film. Second, what are your purposes in showing the movie? If it's a teaching moment or a perfect illustration of a spiritual point, that's one thing; showing it just because you don't have time to prepare a lesson, or to throw on the DVD player for an overnighter is another situation. It would unwise to just throw a questionable film on a screen for the latter situation. Regarding the parent themselves: if I were in the same situation, I would listen with humility and compassion. 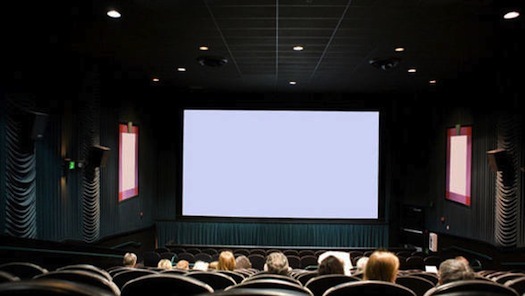 I would also ALWAYS give parents a heads-up on the movie that we'll be watching if its done in a large youth group context, and allow parents to choose to either attend or have their kids opt out of the movie-watching experience. I'm unsure about the nature of a "promise-keeper type movie" or what is deemed "foul language," but I do recognize the heart of the matter--they don't want their kids to be corrupted by sin. Neither do you (I hope). Finding those points of agreement are beneficial. Have you seen "Here Comes the Boom"? I would suggest watching it and giving it a shot. It does center around fighting in a ring as a sport, but it isn't gratuitous. Elephant Man. We just had our teenage children and they were shaken. Great discussion afterwards. August Rush - PG. Big fav. The first Maze Runner movie sparked a LOT of interesting thoughts and conversation starters in my head when I watched it, specifically about whether we view this world as our home or if we look forward to heaven and something better than earth offers. It has some language which is my biggest concern with showing it to my teens, but its worth looking into if you haven't!